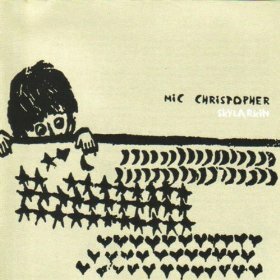 After Mic Christopher's motorbike accident in 2000 he spent a number of months convalescing in his flat in Dublin, immobile in traction. This would have disheartened and broken many people, but instead he returned with the irrepressible 'Heyday', the song which opens Skylarkin. It is a song about living life to the fullest, and embracing each day with joy, a theme that runs throughout Mic's debut album. Uplifting such themes may be, but this great album is also punctuated by a great sense of loss, it being released a year to the day after Mic's tragic death. With the advent of programming buttons and skip functions, it is a rare occasion that an album is released which doesn't have you reaching for one of the former. Here is such a record. From the first four songs (the Heyday EP in a different order) through 'Wide Eyed and Lying' and finishing with 'Daydreamin'' this album holds your attention and demands that you listen. In fact, I would go so far as to say that the album almost finishes more strongly than it begins - 'I've Got Your Back', 'Skylarking', and 'Daydreamin'' are unarguably impressive songs to close any release. But soon an upbeat Mic closes the song with some eternal optimism: "Skylarkin' 'cause you know we never will grow old". However today it is an unexpectedly powerful and painful closing lyric, it being only too true of Mic and his short - but inspired - life. With bands such as The Strokes and The Hives superficially bringing alt.rock into more upbeat territory, it is a pleasure to hear an album that wears its author's experiences (both negative and positive) on its sleeve, yet can still sound as beautifully upbeat, as Skylarking most definitely does. Credit for the clear production values on the album has to go to Karl Odlum, along with his brother Dave, who - in taking away the rough edges that were present on the Heyday EP - have ensured that there can be no doubt among listeners that this is anything but a gem of an album.